Following a terror attack bearing the hallmarks of ISIS or other such groups, it is now customary for Muslim leaders to issue public condemnations. Should that be the case? On the one hand, immediately condemning such acts preempts (and, ideally, prevents) any accusations of terrorist sympathies on the part of individual leaders and communities. On the other hand, some have questioned whether these condemnations stem from—and, indeed, perpetuate—the perceived association of all Muslims with violent political acts committed by an extremist fringe. Moreover, there is rightful skepticism over whether these condemnations truly build any good will given the abiding perception that Muslims are not speaking out against terrorism, despite overwhelming evidence to the contrary. American Muslim leaders and organizations should condemn terrorism publicly to reassure the American public that American Muslims don’t sympathize with it. American Muslim leaders and organizations should not have to condemn terrorism publicly because the American public should assume American Muslims reject it. Considering only those in the survey that chose either one of these two responses, we compared the views of key groups and demographics. 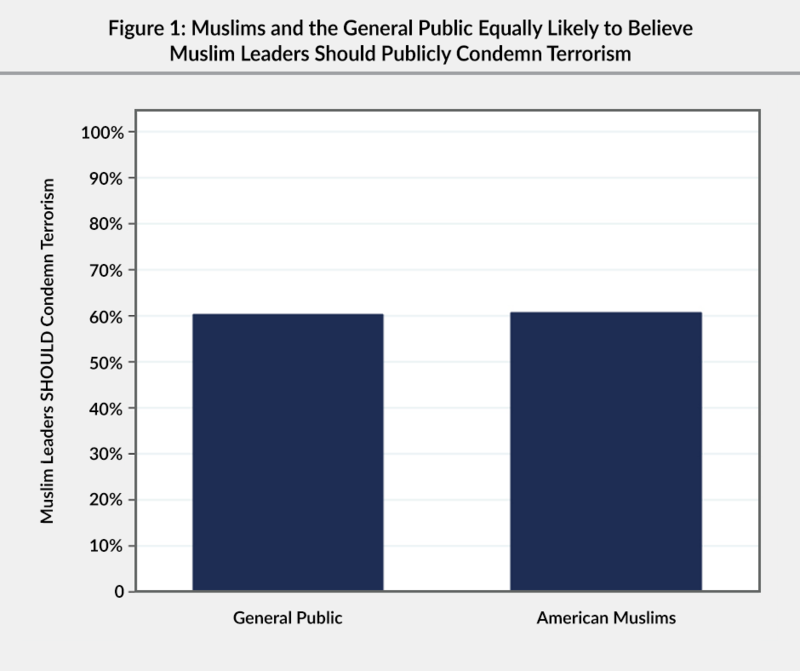 Figure 1 demonstrates that the percentage of Muslims that want leaders in their community to condemn terrorism is nearly identical to that of the general public. This finding begs for deeper probing. Though the answer is beyond the limitations of our data, we should question how much the American Muslim response is due to the false belief that the vast majority of the general public want Muslims to condemn terrorist acts publicly. If we were to inform Muslims of the much more modest percentage of the public that feels this way, that would likely affect the percentage of Muslims who favor public condemnations. How do different groups within the Muslim community compare in their responses? 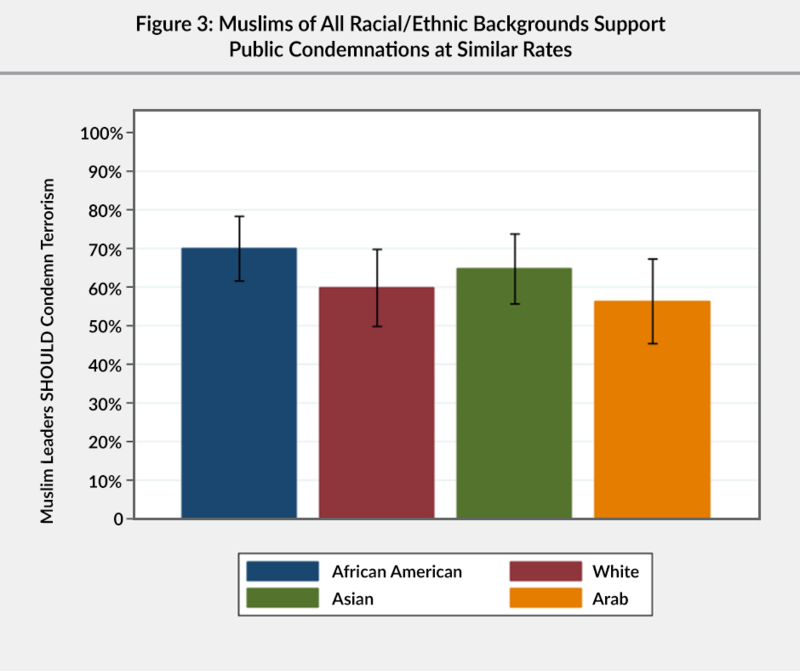 Figures 2 and 3 show no distinguishable difference on the basis of either age group or race/ethnicity (although the data suggests that the youngest Muslims in our sample are marginally less inclined to favor public condemnations than others). 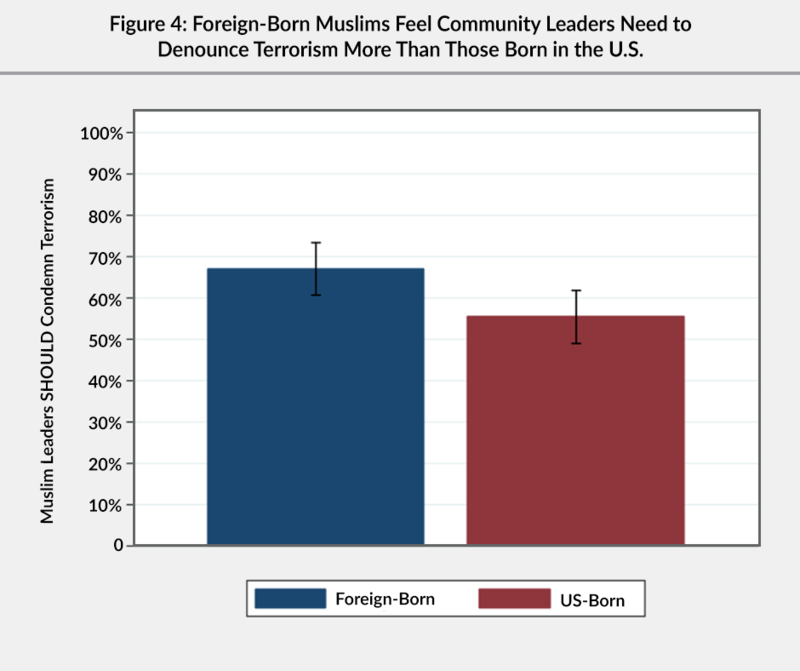 Figure 4 shows a more observable divide in American Muslim attitudes on this issue, with foreign-born Muslims being more likely to support public condemnations than their US-born counterparts. This is perhaps a result of immigrant Muslims being (or at least perceiving themselves to be) more vulnerable to accusations of terrorist sympathies. The clearest division, however, is found between those who regularly attend mosque and those who do so less regularly. 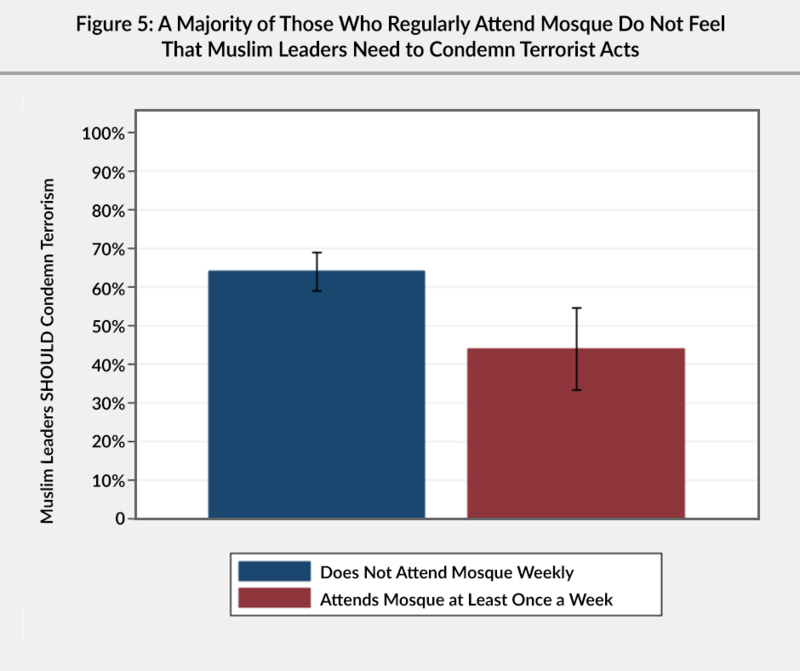 Figure 5 shows that only about 45 percent of Muslims who attend mosque at least once a week believe community leaders should condemn terrorist acts compared to 65 percent of Muslims who do not go to mosque on a weekly basis. This wide opinion gap could suggest that religious attendance engenders a more self-assured group identity, yet we should be cautious about jumping to this conclusion as practical considerations may play a more significant role than any measure of religiosity when it comes to views on condemning terrorism. Future research should aim to tease out the differential impact of these—sometimes overlapping, sometimes mutually exclusive—sets of attitudes. The analyses exclude those respondents that, of their own accord, replied “both” or “neither” to the prompt or did not provide a response. This report was published by the Institute for Social Policy and Understanding. The author, Youssef Chouhoud, is a PhD candidate in the Political Science and International Relations program at the University of Southern California. As a Provost’s Fellow, his research interests include political attitudes and behavior, survey methodology, and comparative democratization. He is an ISPU Scholar and was the co-author of ISPU’s 2017 American Muslim Poll.